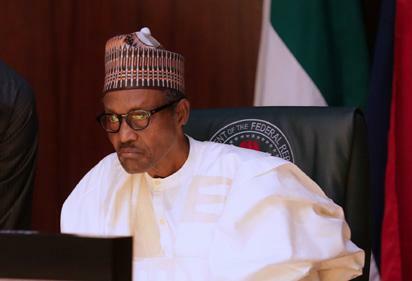 President Muhammadu Buhari said his government has sent more troops and surveillance aircraft to the entire North East territory on a 24-hour basis, to recover the schoolgirls abducted from the Government Girls Technical College, Dapchi in Yobe State. President Buhari said this today as he also gave assurance to the families of the students abducted on Monday by Boko Haram insurgents, almost four years after a similar abduction of 275 schoolgirls from Chibok Girls Secondary School, in Borno State. The Nigerian leader said no effort will be spared to bring succour to the Dapchi girls and the parents. “Our government is sending more troops and surveillance aircraft to keep an eye on all movements in the entire territory on a 24-hour basis, in the hope that all the missing girls will be found,” President Buhari said. “When I received the devastating news of the attack on the school and the fact that the local authorities could not account for all the students, I immediately dispatched a high-level delegation on a fact-finding visit to the town. I also instructed the security agencies to deploy in full and not spare any effort to ensure that all the girls are returned safely, and the attackers arrested and made to face justice. “The entire country stands as one with the girls’ families, the government and the people of Yobe State. This is a national disaster. We are sorry that this could have happened and share your pain. We pray that our gallant armed forces will locate and safely return your missing family members”. The post Buhari orders 24-hour monitor for Dapchi schoolgirls appeared first on Vanguard News.